‘Better for you’ ice creams are flooding the market. But are they actually healthy? Talenti uses a sugar substitute, erythritol, a sugar-alcohol, in its frozen dessert. It also adds sweetness with monk fruit. In recent weeks, many of the top ice cream brands have released a better-for-you line of products, cutting calories and sugar. Ben & Jerry’s and Talenti Gelato are among the two, releasing three new flavors each within days of each other, and competing with the popular low-calorie, high-protein Halo Top. But does that mean they’re making healthy dessert? “I think that the idea that ‘dessert’ can’t be healthy because we call it dessert, or ‘breakfast’ is healthy because we call it breakfast, is a bit outdated with today’s consumer,” said Halo Top’s CEO and founder Justin Woolverton, in an e-mail. Front and center on Halo Top pints is the calorie count — for the whole pint. The relatively low number, with the richest flavors reaching 360 calories, is comparable to that of a salad. 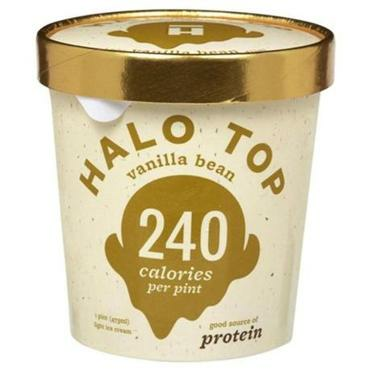 But Nancy Oliveira, nutrition clinic manager at Brigham and Women’s Hospital, sees putting the calorie count for the entire pint front and center, like Halo Top does, as a danger for overeaters everywhere. She’s afraid it sends the message that it’s OK to down the whole pint. Ben & Jerry’s “Moo-phoria” line of light ice cream does not use a sugar substitute. 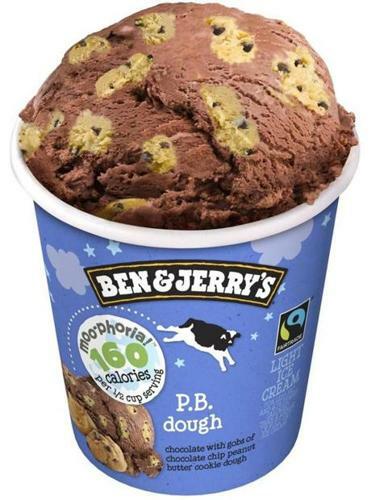 Ben & Jerry’s new “Moo-phoria” line lists calories for a half-cup serving. The three flavors range in calories from 140 to 160 per half cup, for a total of 560 to 640 calories per pint. Compare that to a pint of Half Baked ice cream with 1,080 calories. “We don’t really promote eating a whole pint of ice cream, so we wanted to make sure we were being transparent about how many calories were per serving,” said Dena Wimette, senior innovation and communications manager at Ben & Jerry’s. In addition to concerns about overeating are concerns about the sugar substitutes in the lower-calorie treats. Halo Top and Talenti have replaced their sugars, at least in part, with erythritol, a sugar-alcohol, while Ben & Jerry’s does not use any sugar substitute. A Talenti spokesman notes the brand also adds sweetness with monk fruit. Halo Top uses a sugar substitute in its frozen dessert. Erythritol is not inherently dangerous, and it is even found naturally in fruits and dairy products. It also does not contribute to cavities or cause spikes in blood sugar like real sugar does. But nutritionist Oliveira warns about eating too much of it.